Just wanted to let you know how much I enjoy your blog. I rarely comment, but check in throughout the week. Love your photography, and your fiber art is fabulous! Oh my heavens. Lovely. Absolutely lovely! It's a truly lovely piece of work! ah tif, your cupboard looks just spiffy as spiffy can be...but i must advise you to, again, put off the monday chores....how does wednesday look? thursday? oh heck, how 'bout NEXT monday?! What a beautiful result! Just came across your blog... 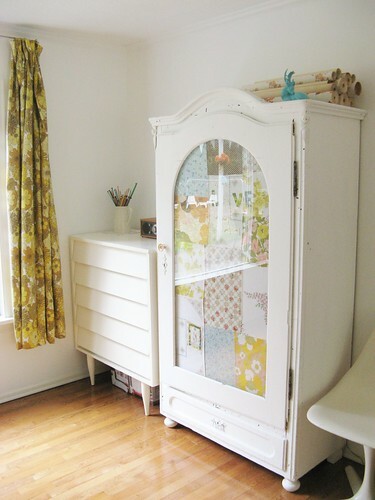 This huge like of vintage looking fabrics makes me jealous ;-). Wonderful! Love her new coat!!!! I was always say if I walk away from something and just can't help myself from thinking about it ... it's meant to be. Not only can you create a fabulous patchy coat, you can ignore dull stuff and move it on a day. I need to develop the skill of ignoring chores more I think. So warm and cozy, a perfect fall coat. Wow!! It looks stunning! 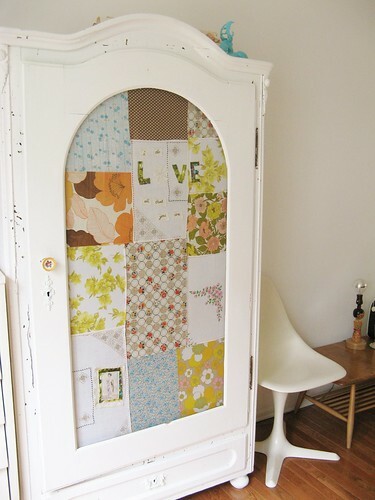 I have been wanting to do something like this for a while to my wardrobe... I think you have just given me the motivation. 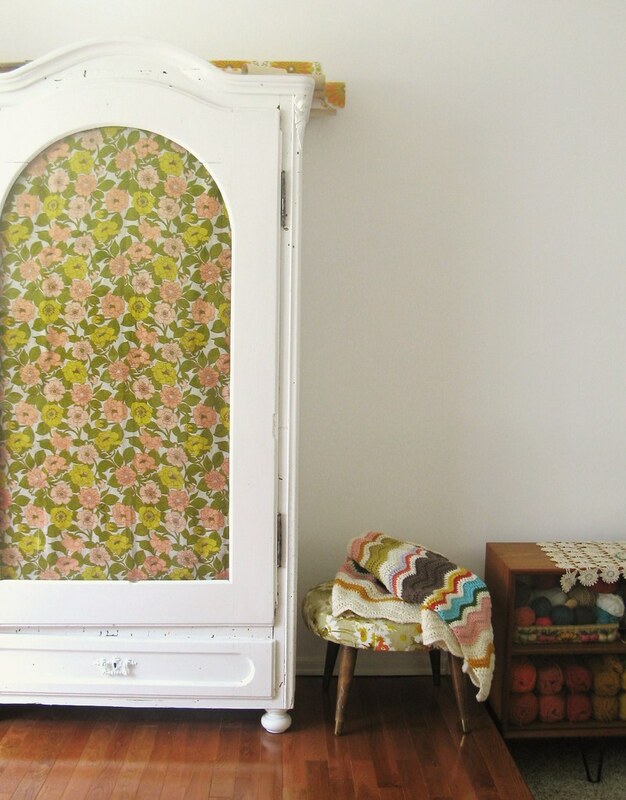 Oh I just love the freshness and prettiness of your cupboard in its new clothes! so very pretty here- as always. 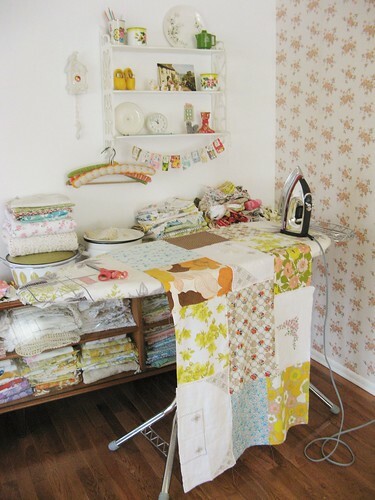 I always love me a bit of pretty dottie sunshine. Tuesdays are usually better days for chorey things - Mondays should always be counted as the unofficial Third Weekend Day with the necessary Weekend In Pyjamas Head! Sigh..you make everything look so effortless! 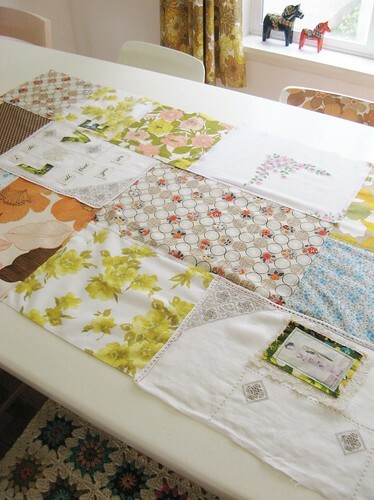 oooo those fabrics are just deeeeelicious! 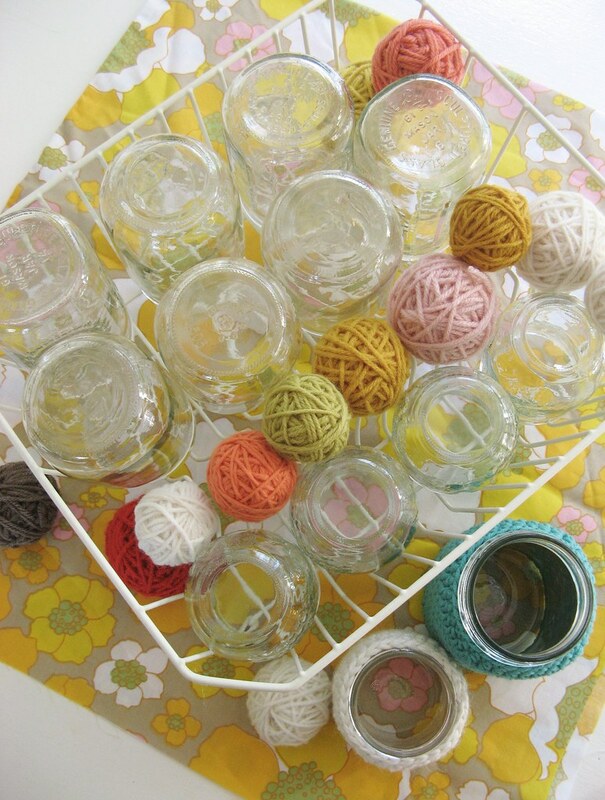 thanks for sharing this gorgeous project! 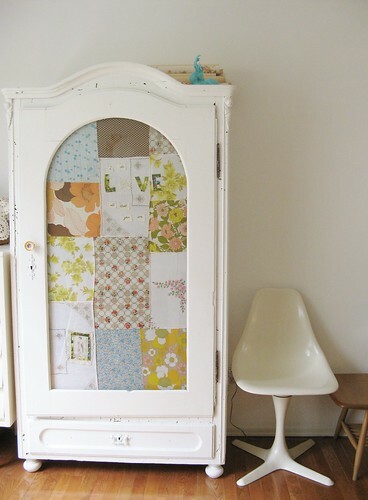 I think I'd love the cupboard anyway (that would be 'cupboard love', then, wouldn't it?) but it looks fantastic now. I have been given a jar of honey recently, which came in what looked like a nylon string vest, not a patch on one of your coats - you'd have shuddered! It's lovely Tif! Looking forward to the balls of string! 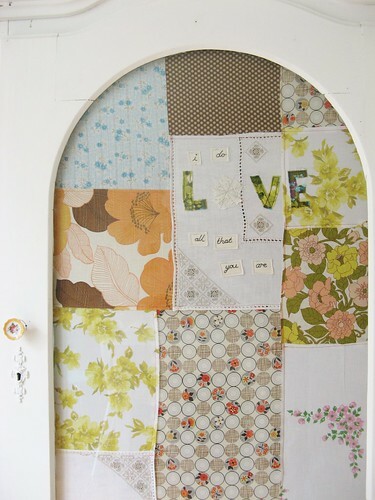 Oh what lovely patchwork, Tif. I used a piece of Alexander Henry fabric to line a crocheted bag, it is called "Willow Grove" (the fabric not the bag! )and it is lovely, cute little houses and winding paths. I did the chorey things yesterday, I think you made the better use of the day. I just discovered your beautiful work and I post it on my blog. Thank you for inspiring and best wishes for your next projects! and quite right, mondays is so much better not being a 'chorey day'! It looked lovely before, and now it is divine. I only wish I had this version on film: I guess another visit is in order! I have send you a award beacuse You got a very nice and happy blogg. look at those colors! Like ice cream. but better. much, much better! thank you vintageregreening and peaches, you are most kind!